Swift, How to Get Completion Handler working as I Wish? I'm trying to figure out how I can manage to set a completion block inside a HKStatisticsCollectoniQuery. The whole idea with this is because I want to know if a user has accepted the permissions to fetch for instance steps. But according to Apple's documentation it's not possible. This method checks the authorization status for saving data. To help prevent possible leaks of sensitive health information, your app cannot determine whether or not a user has granted permission to read data. If you are not given permission, it simply appears as if there is no data of the requested type in the HealthKit store. 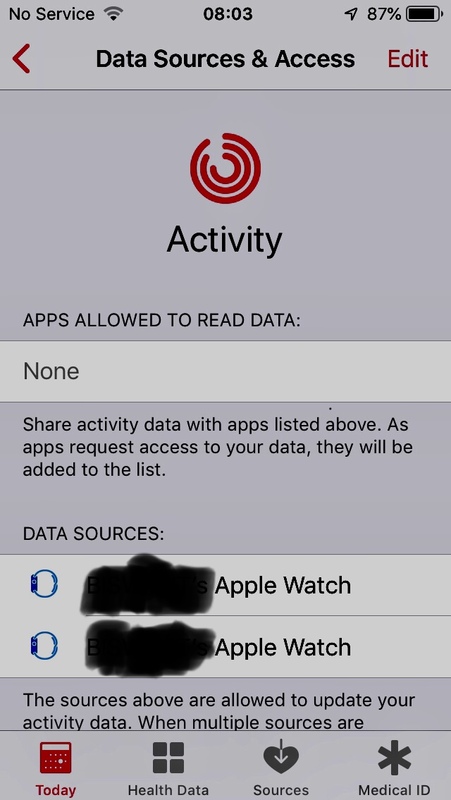 If your app is given share permission but not read permission, you see only the data that your app has written to the store. Data from other sources remains hidden. So I was thinking about fetching steps between the intervals January 2014 until today. And see if the value is still 0, which can mean two things. Either that the user hasn't accepted the permission... or that the user just hasn't walked any steps. I do not know if this is the right approach. So if there is a better way, then I would appreciate any answer! let unitsCount = HKQuantityType.quantityType(forIdentifier: typeIdentifier)! Whenever I call this function it will give me multiply completions, just because I'm going through each statistic. How can I make sure the completion block is just completed once? I am trying to create a map application that allows users to search the local area. 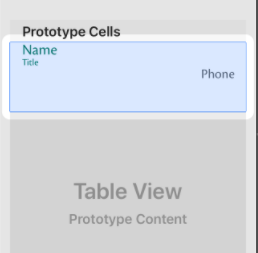 I am running into an issue with the TableViewController and it not being able to identify a cell. 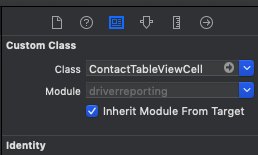 I have configured the cell to be of type LocationCell and have given it the identifier "cell". I don't know what else to do and can't figure out where my error is. When i try to execute CoreData fetch request, i get correct number of rows. NOTE: isSentToServer is a correctly recognized attribute, changing case or adding Z won't help. Are there any changes tons of Swift Tutorial authors are unaware of? I have a list of observables that are requests for google distance and duration info from an specific point. I'm trying to load my screen only when all this information is fetched, but my subscribe on next for those observables are never called (the line "observer.onNext(viewModel)" is called and has the information already fetched, only the subscribe(onNext) is not being called). How can I wait til those observables complete? Now, the value of imageURL inside the handler is not nil, but it becomes nil right after (in the print statement). Why is this happening and how can I fix it without having to write all of my subsequent code inside the completion handler block? I am making a call to HERE Weather API from a mobile App and need to return the current weather as an object so that other methods can use that information for a given time period (eg. 30 min update intervals). I have a rough understanding of asynchronous calls based on this site https://fluffy.es/return-value-from-a-closure/ but I am still running into my problem where I can't access the Weather object I create outside of the closure of the completionHandler. I have provided the Get method from my Weather class. I have also provided a call to that Get method in the AppDelegates file. At the end of my Weather.Get call I should be able to access the testWeather object from other methods. Specifically, a method that modifies the speed limit based on the current weather in the area, which is returned by the Weather.Get call. I am fetching user information from Firebase and my goal is to fetch a batch of users and then display them on the screen one at a time in a card stack. To do this i use a completion handler. However my code inside the completion handler runs before the fetch of all users is done.